Cruise “Bill of Rights” Uncalled-For – Other Cruise News: Lindblad Expeditions To Cruise The Northwest Passage – Who Owns The American Empress? Last week, the new US-led global CLIA surprised everyone by announcing a new cruise passenger bill of rights. Brought out in reaction to a press release by a US senator, these new rules should instead have been announced as a cruise line code of conduct. Who are the people demanding this bill of rights? They come down to a single grandstanding senator. CLIA should be spending its time on more important things than introducing a toothless code that is not a law and has no remedies. Today we look at this issue in more detail. Elsewhere, Lindblad Expeditions has announced that it will be returning to the Northwest Passage in 2014. It was Lindblad that ran the first passenger ship across the Northwest Passage in 1984. Meanwhile, the American Queen Steamboat Company has announced the aquisition of the 223-berth Empress of the North, which it will rename American Empress for operation on the Columbia and Snake Rivers. Last Wednesday, when no one was expecting it, the new global Cruise Lines International Association (CLIA) made one of the most astonishing announcements ever to come from what is supposed to be a marketing organization. It announced a so-called “bill of rights” for cruise passengers. Not only that, but it was introduced immediately in North America, while the rest of the world waits as CLIA submits its new rules to the International Maritime Organisation for formal global recognition. 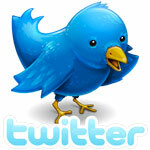 But this paradigm of self-regulation, this so-called bill of rights, has no teeth. No remedies, fines or punishments are named, as is the case for say aircraft delays in Europe, where flyers are paid between €250 ($320) and €600 ($775) for serious flight delays. By comparison, this cruisers bill of rights is just words. Had the industry wanted to prescribe a code of conduct for its members that would have been fine. But to dress the document up as a bill of rights is a misnomer. Just who has been calling for a bill of rights for cruise passengers? Was it victims’ groups who have suffered some of the very rare (but serious) crimes that have occurred at sea? This kind of reaction would have been over the top. By reacting this way the industry would be behaving as if there had been a perpetrator, and that perpetrator was the cruising industry. But no, it was not any of these victims’ groups, it was a single politician. 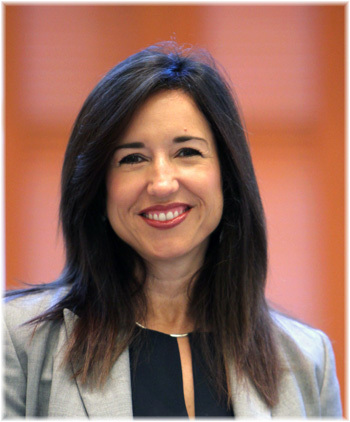 Christine Duffy, president of CLIA, admitted that this so-called bill of rights has been released in response to demands from New York Senator Charles Schumer that the industry guarantee passengers minimum standards and protections. So it’s about politics then. And on the bidding of one US senator who said in March that cruising had become “the wild west of the travel industry” because it operates “outside the bounds of US enforcement,” the whole world is supposed to adopt a toothless measure for cruise passengers. The cruisers bill of rights is modeled on the US Airline Passenger Bill of Rights Act of 2011, which, among other things, limits the amount of time air travellers can be kept on planes stuck on a tarmac. But before we go any further, just what does this so-called bill of rights consist of? 1. The right to disembark a docked ship if essential needs cannot be met on board. 2. The right to a full refund for a trip that is cancelled due to mechanical failures; or a partial refund for voyages that are terminated early due to those failures. 3. The right to have available on board ships operating beyond rivers or coastal waters full-time, professional emergency medical attention. 4. The right to timely updates as to any adjustments in the itinerary of the ship in the event of a mechanical failure or emergency, and timely updates of the status of efforts to address such failures. 7. The right to transportation to the ship’s scheduled port of disembarkation or the passenger’s home city in the event a cruise is terminated early due to mechanical failure. It may look like the Ten Commandments of cruising but there is nothing new in any of this except perhaps the last two lines requiring disclosure on websites, and Item 6. The other items are precisely what would be expected of any well-run business operating cruise ships. In fact, they are mostly industry-accepted standard practice. Carefully tucked in as Item 6 is the “right” to an emergency power source. This clause reflects failures on two ships owned by Carnival Cruise Lines that suffered major ship breakdowns and loss of power. 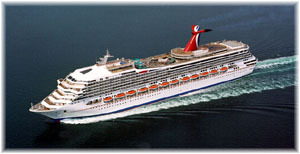 First was the Carnival Splendor off Mexico’s west coast in November 2010 and then it was the turn of the Carnival Triumph off Mexico’s east coast this February. In that light, Item 6 of this so-called bill of rights takes on the appearance of being a means for Carnival to recover some of its lost reputation for operating “Fun Ships,” but doing so hidden among the industry as a whole. Other lines have had nowhere near the problems that Carnival has and have enjoyed clear sailing by comparison. To be fair, however, Carnival did announce a $300 million fleet improvement program just last month. Unfortunately, submitting this uncalled-for document to the International Maritime Organisation and requesting that it be given global effect shows a kind of megalomania on the part of the now global CLIA operation. In a reflection of the American tendency towards extra-territorial application of its own laws, and irrespective of the merits of the case, CLIA is being disrespectful of the rest of the world by wanting to apply a purely American solution to policy worldwide. Some in the rest of the world will be disappointed. It is only six months since the likes of the European Cruise Council (ECC), the UK’s Passenger Shipping Association (PSA), France’s AFCC, Brazil’s ABREMAR, the Northwest and Canada Cruise Association (NWCCA), Alaska Cruise Association (ACA), and International Cruise Council Australasia (ICCA) all self-immolated to become part of the new global CLIA headquartered in Miami. This idea is nothing more than a cruise line code of conduct dressed up in other clothing. Cruise passengers are not downtrodden masses needing protection, as CLIA seems to portray them. And there are far more important things for CLIA to be doing than over-reacting to the press releases of a single senator. The funny thing is that Senator Schumer has still said he was not satisfied as he was unaware of how these rules would be enforced. Which leads one to ask, just why did CLIA bother? Also last week, Lindblad Expeditions announced that its 148-berth National Geographic Explorer would be including the Northwest Passage in its 2014 itineraries. 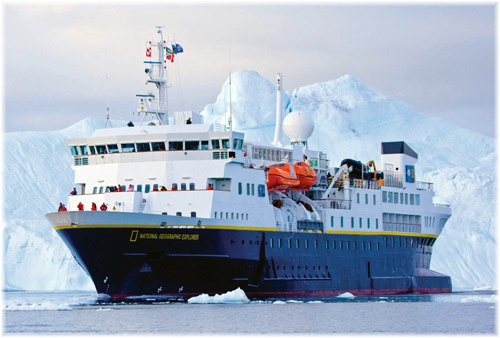 This is a return to the area after an absence of many years as in fact Lindblad had been the first commercial operator to run a ship all the way through the Northwest Passage when it did so with the original 104-berth Lindblad Explorer in 1984. This time, however, the voyages will only cruise into the Northwest Passage and not transit the whole Canadian Arctic, as was done in 1984. The first Northwest Passage departure includes Iceland and Greenland, with calls on Reykjavik, cruising Greenland’s Ilulissat ice fjord, and explorings Uummannaq fjord, the site of a mummy find and of course the Canadian High Arctic. This 25-day voyage departs July 28, 2014. The second Northwest Passage itinerary will also include Newfoundland and Labrador, while visiting the Canadian High Arctic, including Baffin Island as well. This 24-day voyage departs August 19, 2014. Passengers on both voyages will be able to observe polar bears, walruses, ringed seals and belugas. Fares start at $24,990 per person. Operators offering the full Northwest Passage include Hapag-Lloyd Cruises and, for the first time this year, Compagnie du Ponant, while partial passages are also offered by One Ocean Expeditions. Who Owns The American Empress? A small controversy has opened up with last Tuesday’s announcement that the Memphis-based American Queen Steamboat Company is now taking reservations on the 223-berth American Empress, a ship that had previously operated for Majestic America Line as the Empress of the North. The American Empress will not return to the Alaska cruises that she offered in previous years, but starting in April 2014, will start cruising from Portland, Oregon, to pints along the Columbia and Snake Rivers. 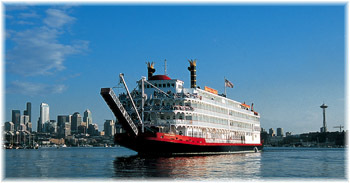 Her Alaska cruises were never true to form anyway as no sternwheeler ever traded up the Inside Passage to Alaska. Some sidewheelers did but the only sternwheelers that did were sailing on delivery voyages. Although the Empress is classed for coastal voyages, sternwheelers were always restricted to inland waters. Meanwhile, plans for the American Empress to call on Clarkston, Washington, in 2014 might not prove possible if the US Army Corps of Engineers doesn’t dredge the riverbed around the Lewiston-Clarkston Valley this winter.